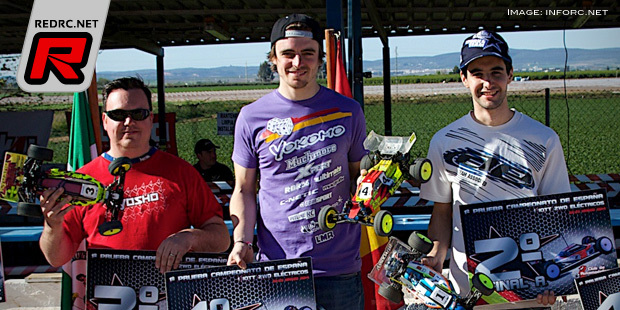 The first round of the Spanish 2WD buggy nationals took place last weekend at the La Rinconada track. The race started off wet with rain on Saturday morning flooding the track but thanks to the effort of the club members the track was good for practice rounds from afternoon on. Qualifying started on Sunday and at the end it was Carlos Pineda who took the TQ in front of young Carlos Canas and Michael Todd. 1/8th Buggy World Champion Robert Batlle had some less-than-perfect runs, missed the top 3 but made the A-main. Robert then went on to win the opening A-final but TQ Pineda fought back in A2 where he won over Batlle with just over a second. A-main leg 3 would then bring the decision where Robert Batlle (Yokomo/Muchmore Racing) took an easy win allowing him to take the overall win from Carlos Pineda (Associated/LRP) and Michael Todd (Kyosho/Team Orion). 34 Marc Rheinard Win!! 2015 Reedy Race. 33 2014/2015 ETS Rd3 italy, Yannic Prumper Win!!! Muchmore Racing Dirver Niclas Nilsson used to FLETA 1S ESC & FLETA ZX 3.5 WC. 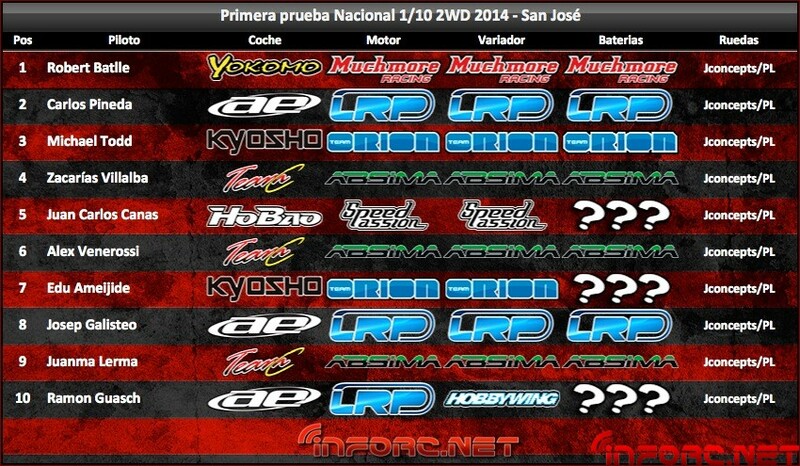 28 EOS Rd2 2WD(Lee Marin) & 4WD(Joern Neumann) Win!! New World champion Marc Rheinard with first 1/12th World champion Muchmore Racing Power system. 26 Ty Tessmann is the new 1:8 Offroad World Champion.